Since reading Clement it’s become clear that in order to figure out him and the other third century authors I’m going to have to get much more up to speed on philosophy, in particular Middle Platonism. I knew this was going to happen and until reading Clement I figured it would be after reading Origen. I’m moving this up a bit. Another development I want to read on is the transition from Middle Platonism to Neoplatonism and figuring out an answer to a question I have for myself; Did the transition from Middle Platonism to the mystical Neoplatonism of Iamblichus have something to do with the increasing popularity of/conversion to Christianity in the 3rd century? I’m not sure if I’ll do this all at the same time or take a break from it, read some Christian sources, then return. Plotinus, The Enneads, ISBN: 978-0-140-44520-6 – This is the Penguin Edition. Mark Edwards, Culture and Philosophy in the Age of Plotinus, ISBN: 978-0-7156-3563-6. Iamblichus, Iamblichus on the Mysteries of the Egyptians, Chaldeans, and Assyrians, ISBN: 978-1-108-07304-2. Mark Edwards, trans., Neoplatonic Saints: The Lives of Plotinus and Proclus by their Students, ISBN: 978-0-85323-615-3. Paulina Remes, Neoplatonism, ISBN: 978-0-520-25860-0. John Dillon, The Middle Platonists: 80 B.C. to A.D. 220, ISBN: 978-0-801-48316-5. Alcinous, The Handbook of Platonism, ISBN: 978-0-198-23607-8. John Dillon, Professor Emeritus of Trinity College, Dublin. I have a feeling I’ll be reading a lot of his books. I’m not sure what this will do to my posting frequency. I’ll have one or two more on Irenaeus and I have a couple of other aspects of 1st and 2nd century Christianity that I think will make interesting posts. I have a volume of The Journal of Late Antiquity sitting on my coffee table and it seems like forever since I’ve looked at Early Medieval Europe so I may make occasional forays back (chronologically forward) to my main area of interest. But for the short term I’m back to diving into something I’m not terribly familiar with and I’ve always been hesitant to write about things I don’t know about; even my Early Christianity posts over the past 9 months since I went “back to the beginning” have been a stretch. or work at a SLAC may want to stop reading NOW!! OK, so I’m in the middle of looking for sources and come across one by Eugene Afonasin, John Dillon and John Finamore, Iamblichus and the Foundations of Late Platonism. It’s published by Brill and the price is out of my range so I decide to see if Purdue has a copy which I can check out sometime. Gotta love those libraries, right? So I log on and about three clicks later I find myself in the middle of something titled Brill Online Which apparently I have access to through Purdue. Which apparently allows me to download Brill volumes, including the Iamblichus volume. For free. To the previously referred to SLAC professors/independent scholars, I give you permission. It’s OK to hate me though I ask that you not do so permanently. I have things to do today so I won’t get to this but tomorrow happens to be a holiday, Labor Day in the US. I have a feeling my internet connection will literally be smoking. Is there a diagnosed Compulsive Internet Book Addiction Disorder (C-I-BAD)? If there is, I expect that by Tuesday I’ll be receiving e-mails offering me assistance for my problem. Everett, Nicholas, Literacy in Lombard Italy, c. 568-774. Cambridge: Cambridge University Press (2003). ISBN:978-0-521-17410. Everett spends most of the book closely examining surviving texts. Charters, law codes and monumental inscriptions are described in some depth regarding their form, functions, evolution and authorship. Manuscript production in Bobbio and Monte Casigno receive considerable attention. A section on the use of scripts is particularly detailed and informative. (306-16) If you want to know what Lombard writing has survived, this book will prove to be a very good resource. This examination of the writings is the most valuable part of the book. The discussion of surviving texts and inscriptions is detailed and well done. Everett’s structure in examining writings in various contexts is useful in helping to describe various aspects of Lombard administration and governance. In examining this, several aspects of the argument are missing. For one, in equating Lombard uses of seal-rings with Roman, a discussion of how they were used in Roman administration followed by comparing and contrasting these uses with Lombard uses, would be entirely appropriate and, in my opinion, necessary if such a connection is to be made. The use of the term “plausible” in the argument is insufficient. To make this connection, “plausible” must become “likely” or “probable”. This should include a discussion of alternatives such as the likelihood that Lombard use was either due to independently coming up with a similar solution to a similar problem or even to Lombard uses being “inspired by” Roman uses, but not through a continuous use handed down from the fifth century. The structure of the argument and the evidence presented is not sufficient either to support Lombard use as stated by Everett or the connection he proposes with Roman uses. His footnotes in this section provide little help, noting one secondary source arguing that the passages actually preclude the use of seal-rings and another in which the author is undecided. This type of argument is not an isolated case. The seal-ring discussion is interesting however to truly examine it requires more than a few hundred words and much more detail. This reads more as a thesis statement than as a statement of proof. 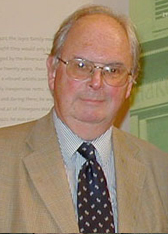 Overall, his arguments for Roman continuity are among the weakest in the book and are peppered with statements such as “plausible” and “possible”. This is unfortunate as the concepts he proposes are interesting and important, if sufficient evidence is given. I am unable to flatly state that he is wrong with these arguments as I do not have the knowledge of the sources or other secondary books to make such a judgement however I am comfortable in stating that I believe the structure of his arguments and the evidence given are often insufficient. Overall, this often reads as some sort of Lombard apologetic. While it is unlikely that the Lombards were the cause of the bulk of the damage done to the Italian peninsula in the sixth century, they did inherit a scarred region, one in which it was difficult to pick up the pieces of Roman society for inclusion in the kingdom. Everett’s assertions of Roman continuity and high levels of literacy on a par with Roman society are questionable, at best, at least without substantially more evidence than is provided here. In the end this book shows promise but disappoints. While Everett provides detailed examinations of Lombard writings, he fails to provide the type of evidence to support many of his conclusions. The book contains a great deal of information regarding charters, texts, inscriptions and scripts. There are some interesting, possibly even exciting concepts proposed. Unfortunately, the arguments in support of these concepts are frequently flawed and lack sufficient evidence. Lombard society provides evidence of literacy, and writing was important in administrative and social structures, at the elite level at least, and within this context, this book is valuable. However when Everett steps beyond these discussions, the flaws in this book become apparent. 1 I rarely review a book where I am not fairly familiar with the topic under discussion. This book is an exception. I have read some on the Lombards but do not consider myself to be any type of authority on them and have only a passing familiarity with the texts discussed. However the major issues here are with the author’s arguments and I am comfortable discussing these. 3 For an argument in favor of a bilingual period see, Wolfgang Haubrichs, “Langobardic Personal Names: Given Names and Name-Giving Among the Langobards,” in, Ausenda, G., Delogu, P., and Wickham, C., eds., (2009). See p. 217 and the subsequent discussion on pp. 242-50. 4 For arguments conflicting with this see Wickham, (2006), pp. 115-22 and Paolo Delogu, “Kingship and the Shaping of the Lombard Body Politic” in Ausenda, G., Delogu, P., and Wickham, C., eds., (2009). Wickham provides substantial evidence against Everett’s argument for extensive Lombard taxation structures through Everett’s period while Delogu substantially discusses the differences in Lombard Italy from Roman with emphasis on Roman society having been so fractured due to the Gothic Wars that developing a successor kingdom utilizing substantial Roman structures was impossible. Ausenda, G., Delogu, P., and Wickham, C., eds., The Langobards before the Frankish Conquest: An Ethnographic Perspective. Woodbridge: The Boydell Press (2009). ISBN: 978-1-84383-490-8. Wickham, Chris, Framing the Early Middle Ages: Europe and the Mediterranean, 400-800. Oxford: Oxford University Press (2006). ISBN: 978-0-19-921296-5.